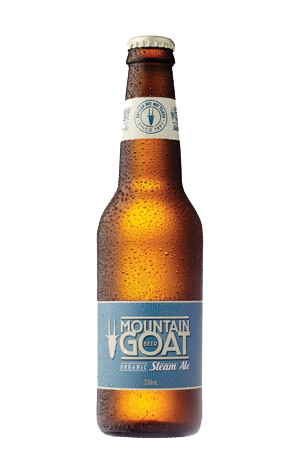 Introduced in 2009 as a replacement for their Pale Ale, this most accessible of Mountain Goat's beers became an overnight hit with drinkers won over by its subtle floral aroma and crisp, lightly hopped taste. A great session beer and gentle introduction to the world of craft beer for newcomers. Such has been the huge demand that production of Steam Ale is now outsourced to Asahi Premium Beverages in Laverton, freeing up the production schedule at the home brewery for more short run beers.